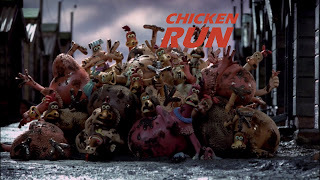 For this week's Hit me with your best shot, I was able to relive one of my fondest movie-going experiences with Aardman Animation's "Chicken Run". I distinctly remember watching it upon its release back in 2000 and thought it was just one of the most awesomely funny and exciting animated films I'd seen. I would have been around age 12 at the time and admittedly, the film doesn't feel as major upon a re-watch 15 years later. But the film's simplest delights haven't lost their effect on me - the endearing British-ness of the voices, the oddball animation and course, the humor. The comedy is especially noteworthy for its dark elements, stemming from the slavery/concentration camp/POW camp allegory of its premise. As I considered all these aspects for my best shot, I ended up focusing on the hilarious Babs character. 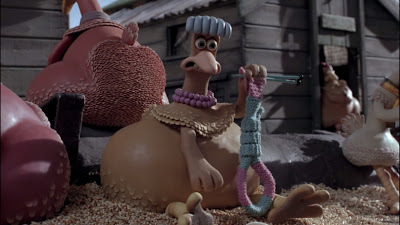 The shot above is one of the many great sight gags in the film, as the sweet, naive Babs has somewhat unwittingly knit herself a hangman's noose. I find it to be such a clever image. 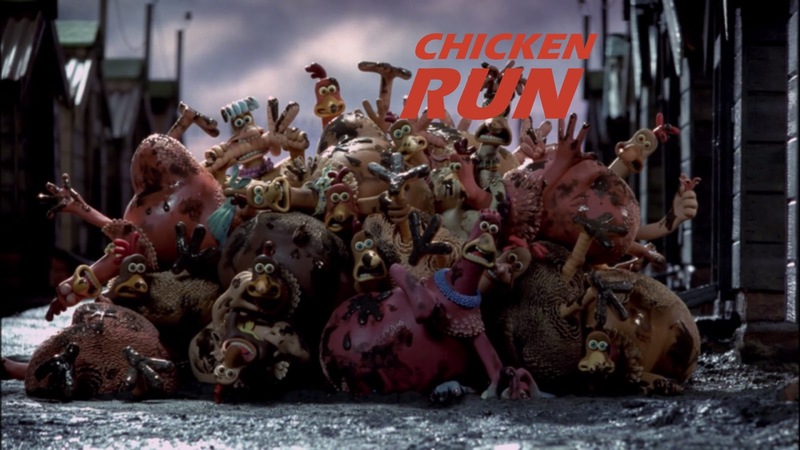 The scene is played for laughs, but it also speaks to the underlying sense of despair among the chickens, which affects even the most optimistic of them all. The danger is so potent that I never once felt that a happy ending was guaranteed. For an animated film aimed towards children, that's a remarkable achievement.